Caledonia Log Homes are proud to offer a diverse product range. 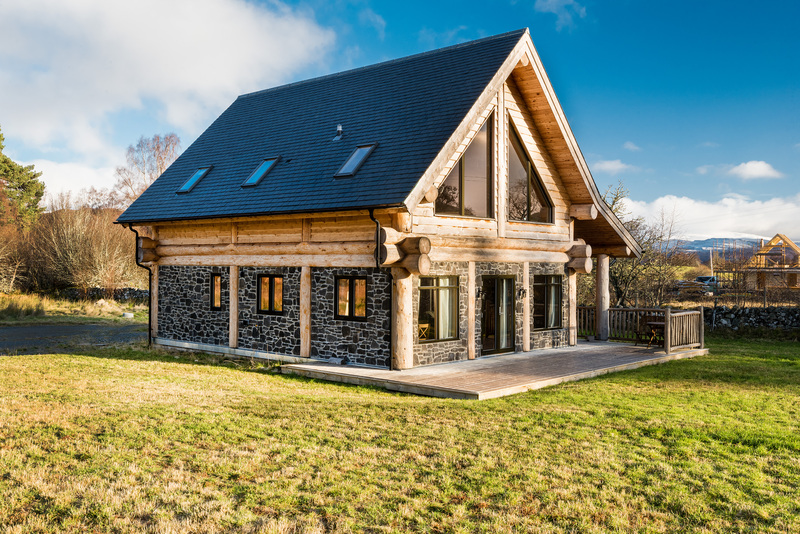 We specialise in offering traditional ‘Fully Scribed’ and ‘Post and Beam’ log homes to the design of the individual customer. Our specialist work also includes beautifully handcrafted log stairways and log trusses. 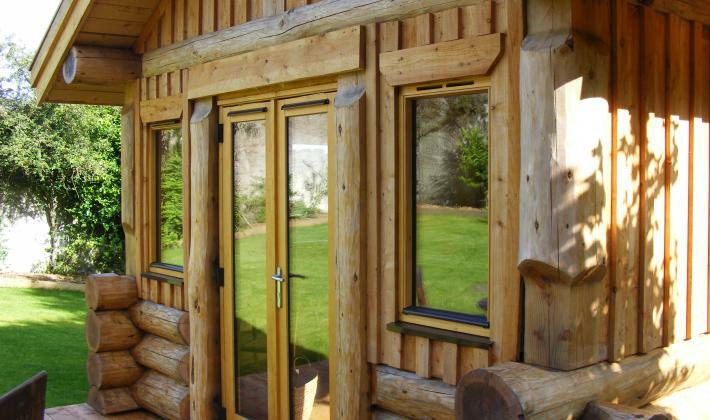 We also offer several other small scale products which include bespoke log cabins, summer houses and garden offices. Beautiful handcrafted posts, beams and trussed roof systems provide an amazing alternative to fully scribed stacked walls. 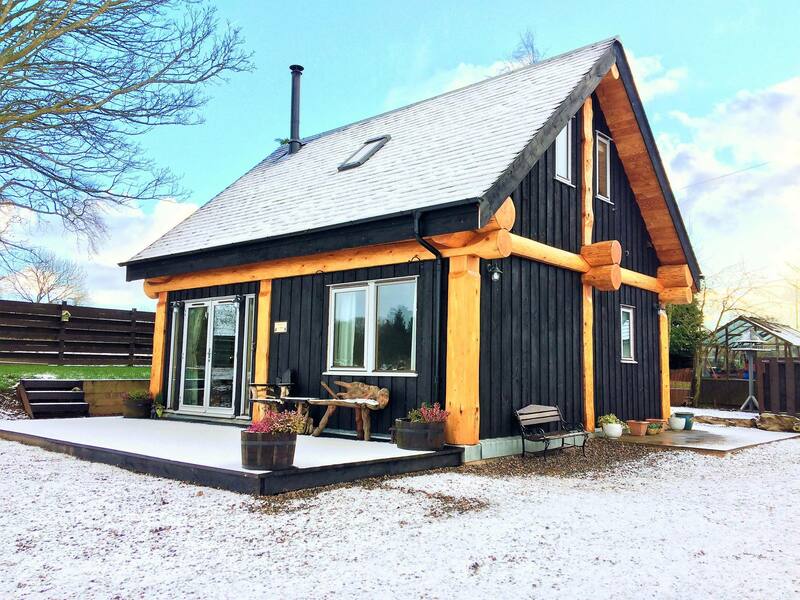 Post and beam homes require great skill and craftsmanship and Caledonia Log Homes is proud to be one of the only UK based companies to offer this service. With expertise picked up in Canada, Europe and New Zealand and refined here in the UK our flashing system, foam seals and expert fitting and finishes make this style of build a dream to live in. The space between the structural posts and beams is perfect for the fitting of windows and doors. High U values are achieved with top performing insulation built into a conventional timber frame wall. The exterior panels are then finished with beautiful larch or cedar cladding, stone work or log siding. Interiors generally have a plaster finish showcasing the structural beams and floor joists giving a lighter more contemporary feel. Massive exposed log ridges running the full length of the builds truly take your breathe away. This style of building has existed for centuries (500 year old log buildings still stand today) and has been complemented by modern day techniques and advances in insulation products. In this style of building the logs are stacked on top of each other; fitting tightly through a technique called scribing and held together by the interlocking shrink to fit saddle notch or self-compression notch. 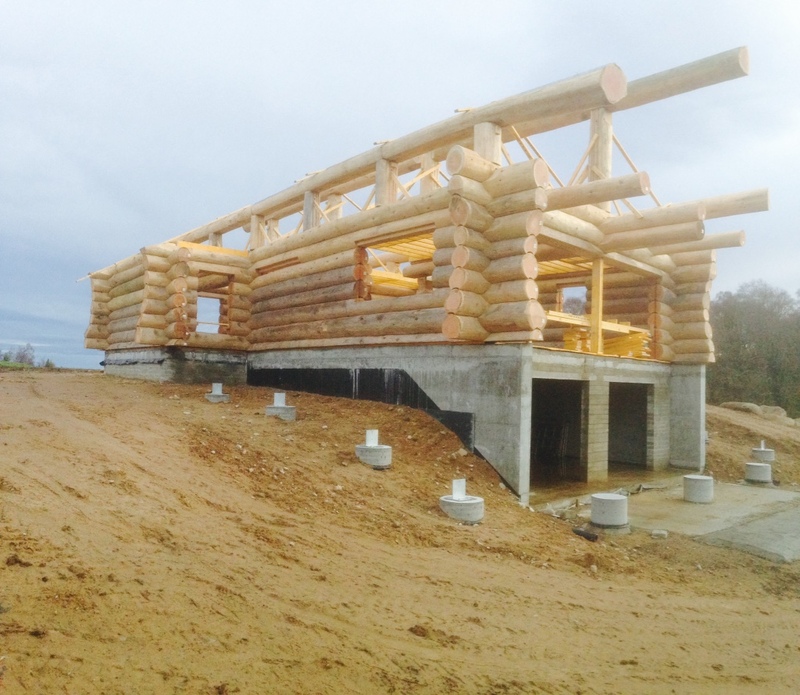 Professional scribing and cutting ensures a structurally sound and weather tight log home. As logs in a log building dry out, they shrink and over time settle and are compressed by the weight of the logs above. Settling and shrinking are key aspects of log home building and ‘over scribing’ is a technique professional log home builders use to ensure your log home stays tight and structurally sound. 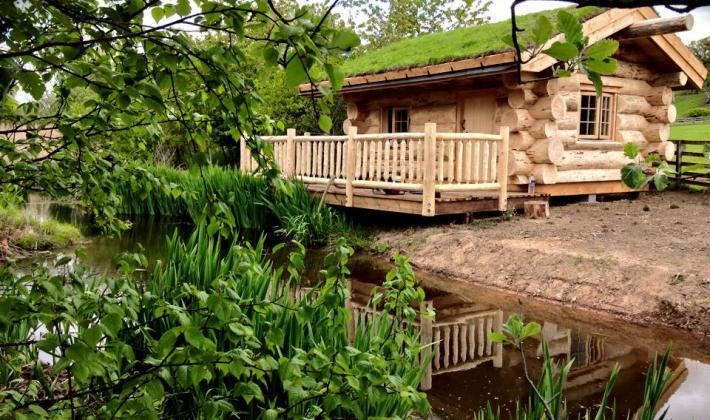 Unique log cabins which are built to the customers design using stacked logs, Post & Beam or a combination of the two. GARDEN ROOMS, OFFICES AND OUTDOOR FURNITURE. The option to personalise your studio includes adding a turf roof, a wood stove burner, a porch or an unique entry system. An ideal way to create an extra room, private work space or a garden hide-away. We also offer picnic tabes, stand alone benches and huge wooden garden mushrooms. Our experienced craftsmen can turn their hands to other forms of wooden building. We have been comissioned to build two architecturally designed wooden structures in Scotland. 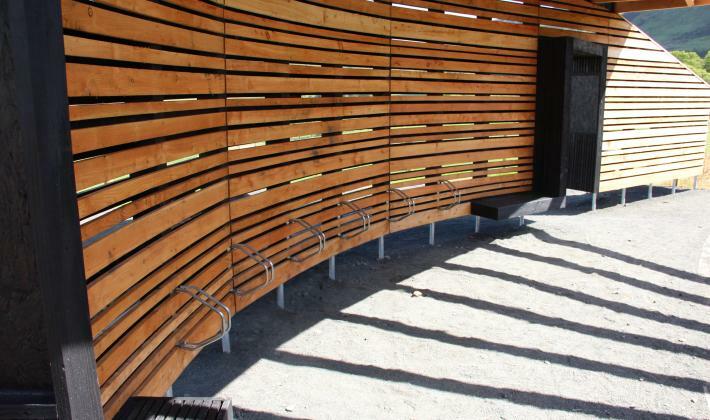 The Forest Pitch changing room near Selkirk and the second, a magnificant viewing platform, overlooking Loch Leven.